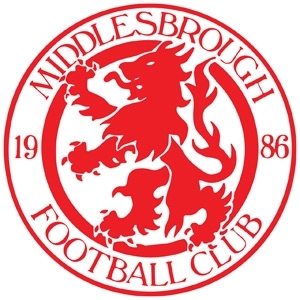 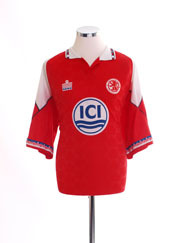 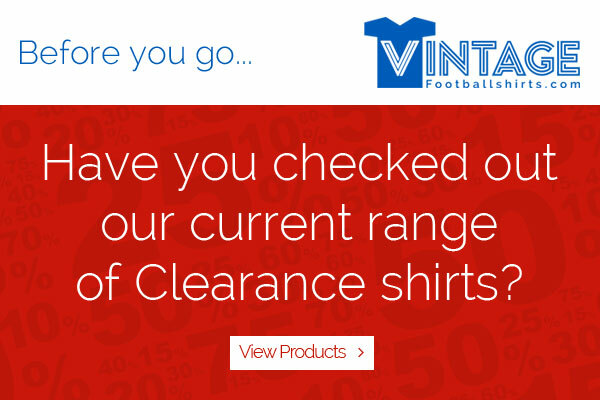 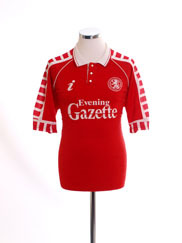 For fans of a certain vintage, Middlesbrough’s kit will forever be associated with red shirts with a broad white band across the chest. 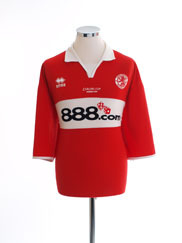 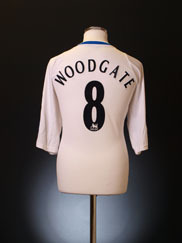 However, this unique and popular design is a relatively recent invention and first appeared in 1973 due to manager Jack Charlton’s desire to create a more distinctive strip than the plain red shirts the club had played in for almost all of their life.The white band remained with the club until 1978 but has since made intermittent returns to the team kitbag, most recently in the 2010-11 season. 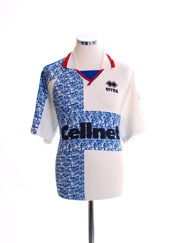 The club’s first ever strip on their formation in 1889 was a plain white shirt with blue collar and cuffs that were neatly patterned with white polka dots - a design that has been utilised as a change kit in recent years (minus the polka dots I hasten to add). 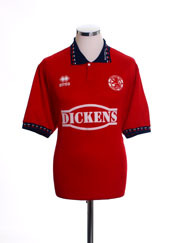 Blue shirts in various shades and designs have also often been favoured away from home.Red shirts was first worn midway through the 1899 season and on several occasions (most notably in the 1910s-1920s) these have been decorated with broad white panels across the shoulders. 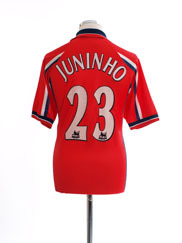 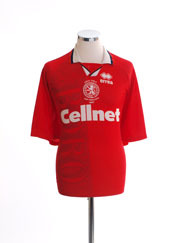 Throughout the club’s history the red shirts have been accompanied by either white or red shorts and socks. 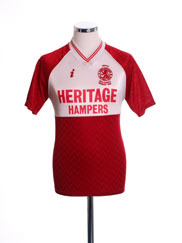 For some reason the kit looks just as traditional whatever colour is preferred. 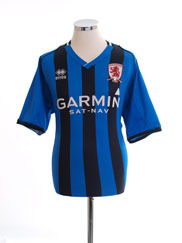 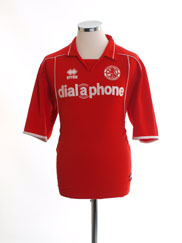 1983’s notable home kit featured white sleeves and shoulders and included the club badge on each sleeve rather than on the traditional left breast.Italian sportswear company Errea arrived at the Boro in 1994 and struck up a very successful business relationship with the club that eventually lasted for 15 years. 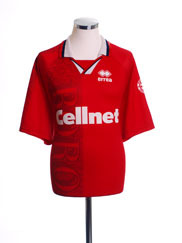 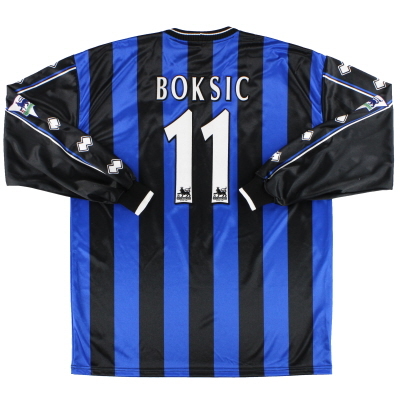 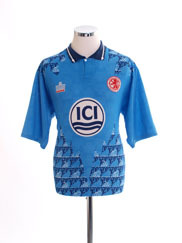 In this period the side donned a new home and away kit every season and also pioneered a scheme whereby fans could vote for which new kit design to choose.